S K Williams Property Cleaning Services offer a complete fascia cleaning and conservatory cleaning service in Telford, Shrewsbury, Newport, Stafford, Codsall & surrounding areas. Height is not an issue on commercial properties as we have an IPAF cherry-picker licence, allowing us to carry out work safely at heights up to 110ft. Our property cleaners have carried out a lot of UPVC and fascia cleaning over the years on retail parks, business premises and homes in and around Telford, Shrewsbury, Shropshire, Staffordshire and Mid Wales. We have invested in the latest cleaning equipment and materials which enable us to clean UPVC fascias and glass canopies with great results. Because your UPVC fascias and soffitts are an integral part of your home or business, it is essential to keep them well maintained. As your fascias accumulate dirt, it can make your property look unsightly. Having your fascias cleaned is an inexpensive way of keeping your property looking immaculate, prolonging their lifespan and can reduce the need for costly replacements. 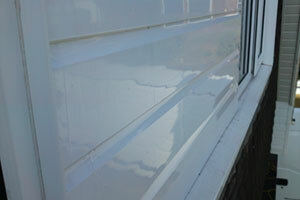 UPVC fascias can quickly gather dirt and mould. 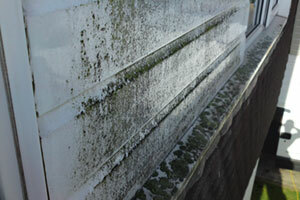 Our chemical clean removes algae, black mould and other detritus which naturally builds up on UPVC. 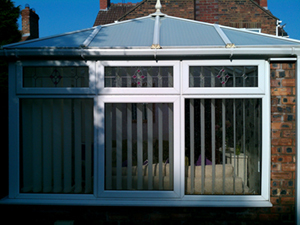 Your conservatory is bound to be an attractive, focal point of your home. Keeping it clean will ensure it continues to be a light, airy, inviting place to relax and entertain. We offer a comprehensive conservatory cleaning service that can be tailored to suit your needs. Some of our customers prefer to have a complete clean on their conservatory every six months which includes cleaning all UPVC framework inside and out, the outside of the guttering, and the inside and out of roof panels, windows and frames. Because the dirt accumulates, this six-monthly clean makes a remarkable difference. A once dirty looking conservatory now looks clean and bright again. Other customers prefer a more regular monthly or two monthly clean, thereby ensuring their conservatory looks pristine all year round. We avoid pressure washing conservatory roofs as this can lead to serious damage and flooding. 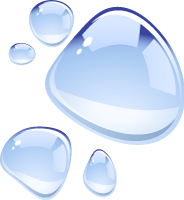 We ensure that all of our chemicals are safe to be used on UPVC and our system of cleaning will not lead to leaks or damage to your conservatory.
" I'm bowled over at how clean they've got my conservatory! The guys were great, and have done a truly brilliant job. I will definitely be recommending you!" C. Paddock - Apley, Telford. Conservatory roofs and the trim can quickly get green from algae and build up moss. 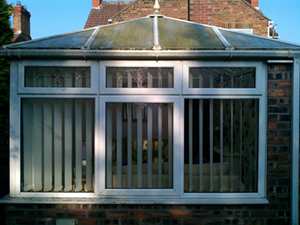 Our chemical clean will leave your conservatory looking clean and bright.